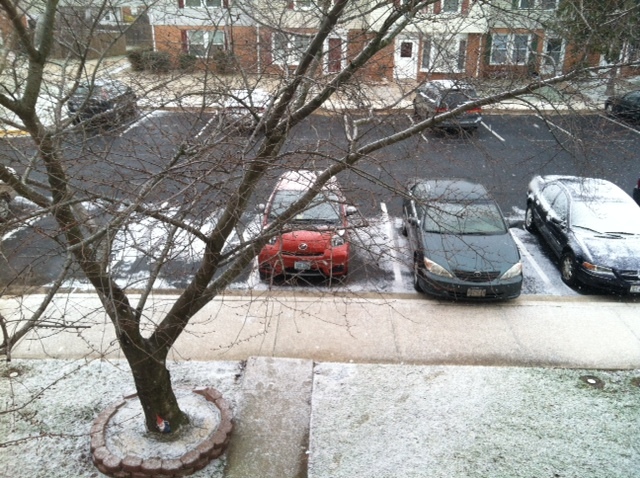 Not much is sticking, but it's still coming down slowly but surely. It looks like we got right at a quarter of an inch. I wonder how many people are actually coming out to buy cars today. I must be the only person that insists on car buying days to be sunny or at least dry.